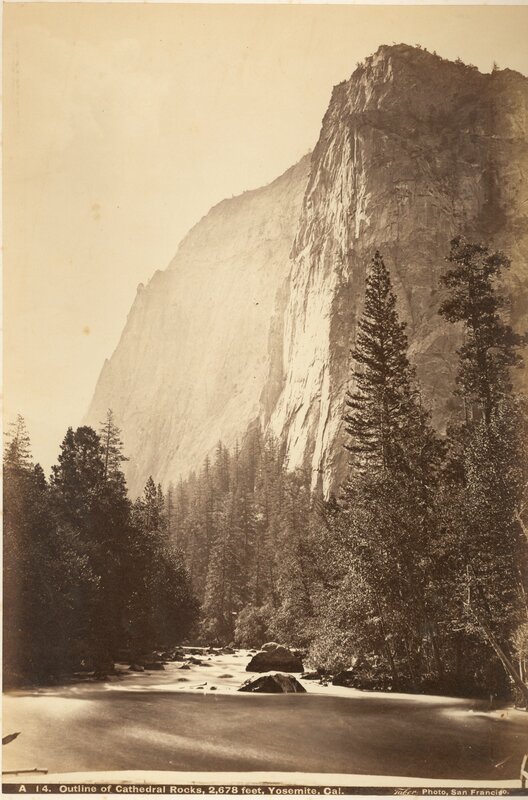 Description: Outline of Cathedral Rocks, 2678 ft, Yosemite, California. Archival mat. Carleton Watkins photograph published by Taber.